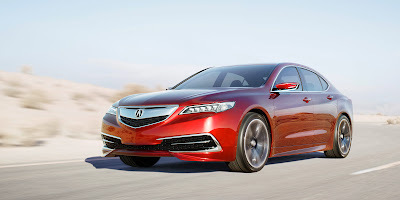 Though I did not get to watch the reveal of the TLX prototype live on YouTube, I did read the press release and view the pictures as soon as I got into work. As the current generation of the TL was widely panned for its looks, specifically the pre-facelifted version, I went straight for the pictures before even reading the text of the press release. Needless to say, I was both relieved and very impressed when I saw the pictures. 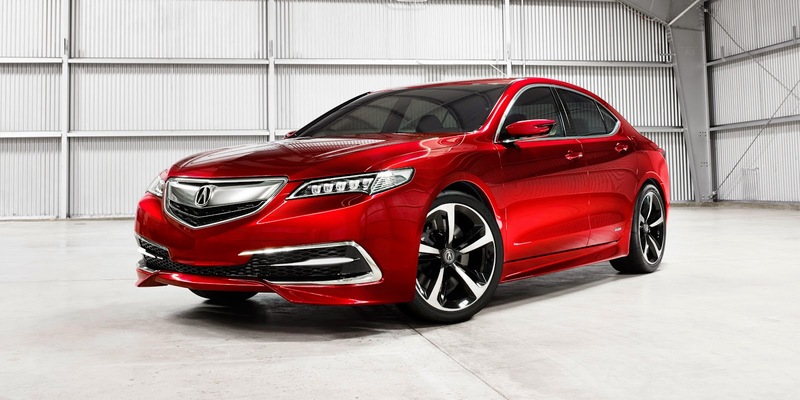 The TLX prototype looks amazing, and it actually looks like a proper sport sedan now! Obviously, the 20 inch wheels and some of the design cues of the prototype will not make it to production, but as long as Acura keeps most of the prototype's good looks, Acura could possibly be forgiven for the pre-facelifted, current generation TL's polarizing looks. I am also glad Acura is trickling down their Jewel Eye (TM) LED headlamps to newer models as promised. It works well with the toned down "Power Plenum" front grill. As promised, Acura said it would reveal two all new drivetrain options on the TLX prototype. Honda's "Earth Dreams" 2.4 liter inline-4 will be mated to an all new 8-speed DCT with torque converter and P-AWS, and the 3.5 liter V6 (most likely from the RLX) will be mated to an all new 9-speed automatic with your choice of P-AWS or SH-AWD. I was a bit disappointed in the engine choices, but not really surprised. 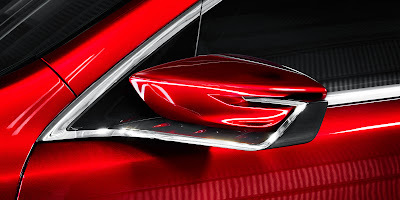 As I had written in our Drawing Board of the TLX, I was hoping for the 2.0 liter turbocharged inline-4 currently being developed for the European and Japanese market Civic Type-R. It was obviously a long shot, but one can dream, right? The 3.5 liter V6 is definitely no surprise at all. Acura is basically stuffing this engine in to every car they have, and there is absolutely nothing wrong with doing so as it is a great engine. The question now is how much power each engine will be outputting. The press release makes no mention of a manual transmission option. 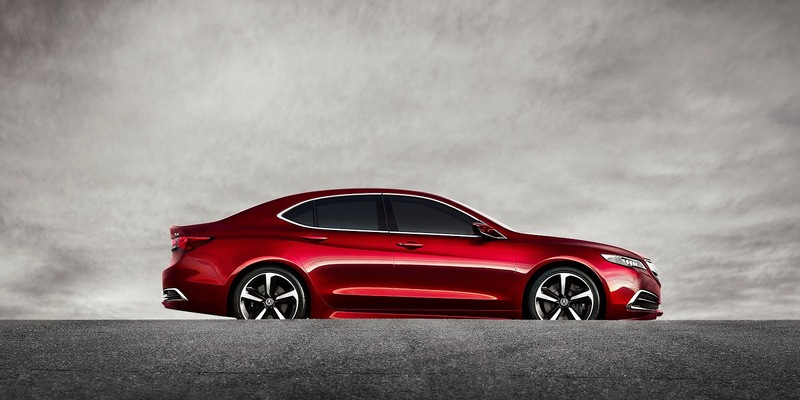 This could very well mean that Acura will abandon manual transmissions for the TLX, which is an absolute shame. Both my brother and I have said time and time again that Honda makes some of the best manual transmissions in the industry. While I understand that manual transmissions usually only make up a measly 1% to 2% of a car's sales, the enthusiast part of me cannot help but be a little disappointed. Good thing I plan on keeping my S2000 for a long time. At this point though, I am still holding out some hope that Acura will at least offer a 6-speed manual on the 2.4 liter version of the car. If not, that leaves the ILX as the only Acura with a manual option, and avid readers of our blog already know how we both feel about the ILX. Stuck in meetings all day, I also was not able to watch the reveal in real-time. However, Acura conveniently unveiled the photos and press release at the same time on the website and I was able to study those in detail on my phone. To me, the design is the best thing to come out of Acura's design studios since the last TL prototype was introduced over a decade ago. 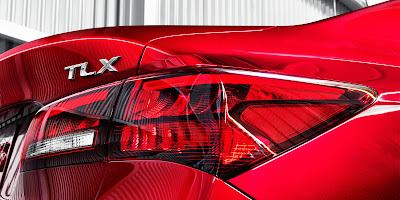 The front sports the now familiar Acura beak, but in its most refined version and carries the family resemblance to the ILX and RLX, flanked on both sides by the signature Jewel Eye LED headlamps. The compound curves in the hood add depth and meld smoothly into the tightly drawn shoulders of the front fenders. From the side, you can see that the shoulder line carries from the very front of the car all the way to the very rear and are joined by a set of muscular looking wheel arches that flare menacingly out over the rear wheels. A bit of of concavity is added to the rear doors to keep the car from looking too slab-sided and the rear lights wrap forward a bit from the back. With a long hood and short deck, the overall proportions feel more RWD than FWD with much shorter overhangs than Acura has traditionally had and the entire greenhouse is set further back in the body, offering up a much more favorable dash-to-axle ratio and giving the car an athletic profile. In the rear, the taillights feel clean and derivative of the current TSX with just a touch of ILX and even a little Lexus IS. The short decklid is trimmed with a small lip spoiler, poised gently on the edge. As the plastic bumpers both front and rear, along with the massive 20-inch show car wheels, are not likely to make it into production in their current form, I can only say that they were nice touches on the car, but it will be interesting to see how they are toned down for production. Additionally, the cool looking LED signals built into the wing mirrors are not terribly likely to make it into production either given their complexity potential for being damaged. However, the sheet metal is pretty much done, as is typical of Acura's "concept" cars that they reveal at auto shows. What I see is a much more muscular version of the RLX's elegant, if bland, design treatment that has been adjusted slightly to offer a more athletic profile. Somehow, it just works and is the most cohesive design we have seen from Acura in a while. I am simply smitten with how clean, elegant, and athletic is feels and suspect that, like the design of the 3rd-generation TL, this car is going to age gracefully. With limited information available about the interior (though all bets on it being very likely to look similar to the RLX's), the performance figures of the drivetrains, and how the car will actually drive, I reserve final judgment until I have a chance to get behind the wheel. However, what I see before me has a tremendous amount of potential and is genuinely a serious candidate for my next car, if the numbers are right. Fingers crossed that by the time production rolls around that a manual transmission will still make it into the mix, but if not, I just might be willing to accept the new 8-speed DCT.